PT Pertamina Retail - Pertamina Retail is a well-established company in Indonesia, running business in the field of downstream oil and gas industry. 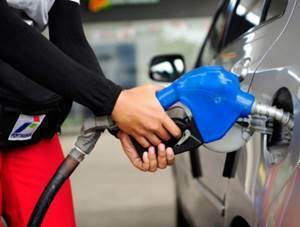 Pertamina Retail has core business competencies on fuel and non-fuel retail industry. Its business include retail public fuel filling station (SPBU), fuel trade and fuel transportation services. PT Pertamina Retail is a downstream subsidiary company of state-owned oil and gas giant PT Pertamina (Persero) or Pertamina Group. As of December 2015, Pertamina Group holds 99.9972% shares in Pertamina Retail. Other 0.0028% remaining shares was owned by PT Pertamina Trans Kontinental. Pertamina Retail was founded in 1997 and initially registered as a lubricant company PT Pertajaya Lubrindo. Later in 2005, the Company renamed its name to PT Pertamina Retail and transformed to fuel and non-fuel retail business. Headquartered in Jakarta, Pertamina Retail now has 122 SPBU COCO, 380 Bright stores, 10 Bright Cafes, 17 Bright Car Was Units, and 30 Bright Olimarts spread across Indonesia. PT Pertamina Retail succeeded in posting excellent financial performance in 2015. According to Pertamina Retail Annual Report 2015 as cited by JobsCDC.com, Pertamina Retail reported total operating profit of Rp 108.75 billion in the fiscal year 2015, or 81% growth over the same period in 2014 amounted to Rp 60.50 billion. Pertamina Retail booked total assets of Rp 1,064.06 billion in 2015, or a growth of 23% of total assets in 2014 amounting to Rp 863.26 billion. Holds an S1 degree from a reputable university with min. GPA 3.00, preferably majoring in Statistics. Have minimum 2 years experience in the field of Business Analyst/ Monitoring and Evaluation/ Data Analyst. Holds an S1 degree from a reputable university with min. GPA 3.00, preferably majoring in Industrial Engineering. Have minimum 1 year experience in the field of Supply Chain and Distribution. Familiar with Microsoft Office, especially Excel Macro. Placement at Distribution Centre Jabodetabek Area. JobsCDC.com now available on android device. Download now on Google Play here. Please be aware of recruitment fraud. The entire stage of this selection process is free of charge. PT Pertamina Retail - Business Analyst, Supply Chain Controller Pertamina Group December 2016 will never ask for fees or upfront payments for any purposes during the recruitment process such as transportation and accommodation.